* Energy, materials fall on weak data in China, Europe, U.S.
NEW YORK, June 21 (Reuters) - U.S. stocks posted the worst day in three weeks on Thursday on mounting evidence that slowing manufacturing growth worldwide threatened corporate profits. Shares of energy and materials companies led declines as commodity prices fell. U.S. crude futures slipped below $80 a barrel for the first time since October and the S&P energy sector index lost 4 percent. Investors said weak overseas demand was responsible for the decline in those industries. Stocks' slide was accelerated by a bearish call from Goldman Sachs, which recommended clients build short positions in the broad S&P 500 index on expectations of more economic weakness. "We are recommending a short position in the S&P 500 index with a target of 1,285," (roughly 5 percent below current levels), Goldman Sachs said in a note. The investment bank cited the Philly Fed's mid-Atlantic factory index, which fell to minus 16.6 in June, an unexpected contraction in the region's factory activity. Semiconductor stocks weighed on the Nasdaq after chipmaker Micron Technology Inc posted a net loss for the fourth straight quarter. Micron lost 7.8 percent to $5.65 and the PHLX semiconductor index dropped 4.1 percent. Stocks had enjoyed a two-week run that brought the S&P up more than 7 percent on hopes for additional stimulus from the Federal Reserve. Business activity across the euro zone shrank for a fifth straight month in June and Chinese manufacturing contracted, while weaker overseas demand slowed growth by U.S. factories. "While we've seen only two of many regional manufacturing surveys for June, there is a clear deterioration taking place, with only the degree being the broad issue," said Peter Boockvar, equity strategist at Miller Tabak & Co in New York. The KBW Bank Index fell 2.3 percent amid expectations Moody's Investors Service would announce downgrades in the banking industry. The Dow Jones industrial average was down 251.35 points, or 1.96 percent, at 12,573.04. The Standard & Poor's 500 Index was down 30.19 points, or 2.23 percent, at 1,325.50. The Nasdaq Composite Index was down 71.36 points, or 2.44 percent, at 2,859.09. The day's decline was the worst since June 1 when the S&P 500 fell 2.5 percent. "The market was extremely overbought coming into this week, and the news gave it an excuse to sell off," said Jeffrey Saut, chief investment strategist at Raymond James Financial in St. Petersburg, Florida. Softening data globally lifted hopes of central bank action to support the economy. The U.S. Federal Reserve announced on Wednesday it would extend one monetary stimulus program and said it was ready to do more to help economic growth if necessary. "Although yesterday's FOMC delivered easing as expected, with a dovish statement, positive risk sentiment ahead of the FOMC had already buoyed markets. And we now think, with incremental US monetary policy on hold, the market will need to confront a deteriorating growth picture near term," Goldman Sachs said. U.S. home resales fell in May and the four-week moving average for new unemployment insurance claims rose last week to the highest level since early December. Celgene Corp slumped 11.5 percent to $59.45 after the company said it was withdrawing a European application for wider use of its big-selling Revlimid blood cancer drug. Philip Morris International lost 3.3 percent to $85.62 after forecasting full-year earnings below Wall Street estimates, saying a strong dollar has hurt sales abroad. About 7 billion shares traded on the New York Stock Exchange, the American Stock Exchange and Nasdaq, below last year's daily average of 7.84 billion. More than 5billion of revenue is 'at risk' because wealthy investors are ploughing money into film finance schemes to avoid tax, it emerged today. The partnerships can act as a big incentive for investors to support film projects, but also allow them to use any losses to offset taxes on other income. HM Revenue & Customs yesterday confirmed it was investigating 600 such schemes over concerns billions was being lost in tax revenue. The revelations came as David Cameron branded comedian Jimmy Carr 'morally wrong' for using a 'very dodgy' off-shore scheme to pay as little as one per cent income tax. After paying into a partnership tax-free, investors can take out a loan from the scheme – also tax-free. In theory the tax break is deferred until the partnership makes money, but some schemes offer the chance to avoid this. One film investment scheme called Terra Nova is helping 75 members avoid 18million in tax by switching their liabilities to Luxembourg, it has been claimed. One senior HMRC offical told The Times: 'Film schemes are a 5billion risk for us at least. However, the tax relief is only deferred as any tax saved in the first year is expected to be returned as the film partnership starts to make money in the following years. 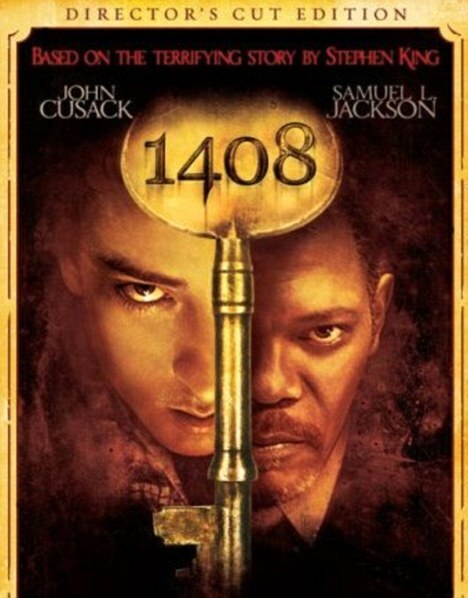 Terra Nova investors claimed about 22million in tax relief in 2006 after buying the rights to films including 1408 starring Samuel L Jackson for arund 48million. They were due to pay back 18million in the next tax year, but were offered the chance to 'retire' from the partnership and move all liabilities to a Luxembourg-based company. According to Alastair McEwan, of Rebus Solutions, which represents people who believe they were missold investment schemes, says, although legal, such exit schemes are systemic and could cost the Exchequer millions. Terra Nova was set up by Tim Levy, the founder of Future Capital Partners (FCP). Lawyers for FCP said restructuring in partnerships could happen for various reasons and that it did not make decisions on behalf of its partners. Yesterday, Mr Cameron said revelations about the multi-millionaire comedian's tax arrangements suggested Mr Carr is undertaking 'straightforward tax avoidance'. The PM's extraordinary broadside came as it emerged Carr paid cash for an 8.5million house in one of London’s most fashionable areas. Speaking to ITV News during his trip to Mexico, the Prime Minister attacked wealthy people who use off-shore schemes to dodge big tax bills. He said: 'I think some of these schemes - and I think particularly of the Jimmy Carr scheme - I have had time to read about and I just think this is completely wrong. 'There is nothing wrong with people planning their tax affairs to invest in their pension and plan for their retirement - that sort of tax management is fine. NEW YORK--The Dow industrials were poised for the year's second-biggest fall after dismal economic readings across the globe triggered a bearish recommendation from Goldman Sachs, helped drive stocks to new session lows. The Dow Jones Industrial Average fell 230 points, or 1.8%, to 12593 in late-afternoon trading. The Standard & Poor's 500 fell 27 points, or 2.1%, to 1327. The Nasdaq Composite ticked down 68 points, or 2.3%, to 2862, pacing to snap a five-session streak of gains. The Dow inched higher at the open, but quickly turned red after Mid-Atlantic manufacturers said that business conditions deteriorated sharply this month, according to the Federal Reserve Bank of Philadelphia. Stocks slid to session lows after analysts at Goldman Sachs recommended that clients set up short positions in the S&P 500. The analysts set a short target for the benchmark index at 1285, about 4% lower than current levels, writing that Thursday's soft U.S. reports "provides further evidence that weakness has extended into June." Traders said the note continued to circulate between desks late in Thursday's session. Short sellers borrow shares from other investors and sell them in the hope of buying them back at a lower price later. Energy and materials stocks led all 10 of the S&P 500's sectors lower after reports showed that business activity in the euro zone and manufacturing activity in China each contracted in June. Slowing industrial activity crimped demand for commodities, and aluminum company Alcoa fell 3.8% as the Dow's biggest decliner. Blue chips Exxon Mobil and Chevron each fell more than 3% as oil prices dropped below $80 for the first time this year. The number of Americans filing for jobless benefits fell slightly last week, though the prior week's figure was revised higher, indicating the labor market is struggling to avoid a stall. "What we're seeing is the job market slowing to a crawl," said Saira Malik, head of global equity research for TIAA- CREF in San Francisco. Traders also cited lingering disappointment that the Federal Reserve held off on announcing more aggressive stimulus measures on Wednesday. Instead, the Fed opted to extend "Operation Twist," a program where the central bank sells short- term Treasurys and buys longer-dated bonds to help tamp down long-term borrowing costs. The Dow rallied 6.1% from June 4 through the session before the Fed's policy decision, largely on hopes for stimulus measures. "A lot of people bought into QE3, so we went up from June lows up almost in a straight line. It was a little much, and a lot of that money is coming off," said Robert Verderese, a managing director on the trading floor of Knight Capital, referring to a third round of quantitative easing. European markets turned lower after the weak U.S. data. The Stoxx Europe 600 fell 0.5% and broke four-day winning streak. A Spanish bond auction received strong demand, although at sharply higher yields than previous auctions. Most Asian stock markets fell on worries about the Chinese economy after the gauge of China's manufacturing activity showed more weakness. (END) Dow Jones Newswires   06-21-121556ET   Copyright (c) 2012 Dow Jones & Company, Inc.